The six-year-old bull market is boosting the ranks of newly-minted millionaires. 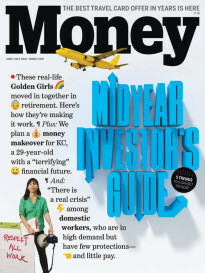 Fidelity Investments reports that the number of workers with $1 million or more in a 401(k) retirement account has more than doubled over the past two years. Granted, those 72,379 accounts represent a small fraction of savers, but the growth has been big: Two years ago, Fidelity, one of the largest 401(k) plan providers, managing some 13 million accounts, reported only 34,920 one-million-dollar-plus balances. To be sure, with an average salary of $359,000, a lot of these workers are big earners. (Still, more than a thousand earn less than $150,000 a year.) But good savings habits are helping them get them to the $1 million mark too. The average annual contribution for 401(k) millionaires was $21,400, vs. $6,050 for people with less than $1 million in their accounts. Betting heavily on stocks during this bull market has been a boon as well. The group holds 72% of their accounts in stocks on average. And they are disciplined about not raiding their plans early. This $1 million mark may seem daunting—even unreachable—but remember that the average age of a 401(k) millionaire is 60. Reaching $1 million takes a career’s worth of saving money. You could be on track to become a 401(k) millionaire by the time you retire if you have $90,000 in your 401(k) at age 40, or $350,000 as late as 50. Consistently saving 15% of your pay a year is a good first step. Are you a 401(k) millionaire—or on the road to becoming one by the time you retire? Let us know how you are doing it. Are you putting away the max in your 401(k) year in and year out? Are you socking away all your raises? Are you power saving when a big expense like paying college tuition for your kids falls away? What’s your investing strategy? 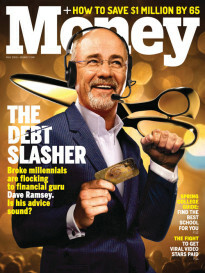 Tell us your story, and we might use it in an upcoming issue of MONEY magazine. Use the form below to tell us about how much you’ve saved so far, what you do and roughly what you make, and what your saving strategy is. We’ll be in touch for more information if we’re considering your story for publication. We look forward to learning your secrets of becoming a millionaire!